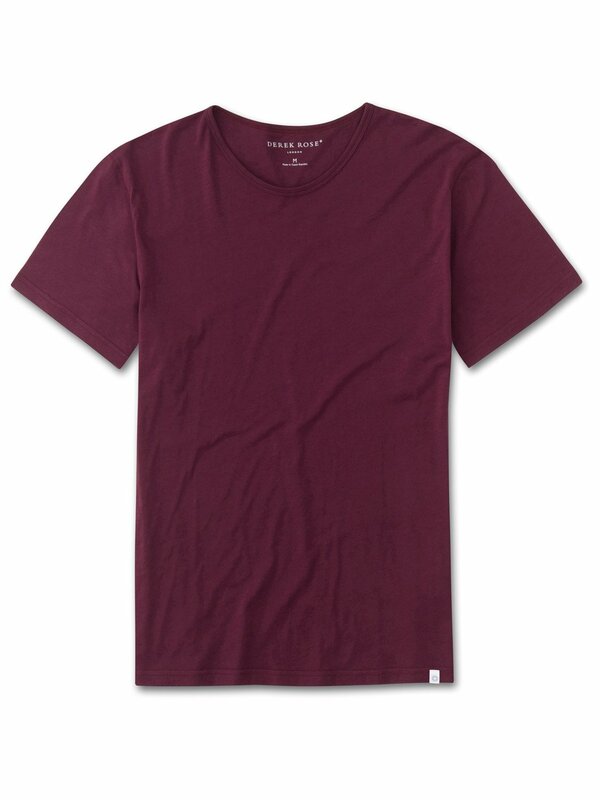 Our rich burgundy red Riley 2 crew-neck t-shirt is cut from 100% fine gauge pima cotton for a luxurious essential. This supersoft fabric is lightweight and breathable making it perfect for enjoying the sun in comfort. The incredibly soft pima cotton used is superior to standard cotton thanks to the extra long staple fibres which produce a more refined and silkier touch. These unique properties also ensure the fabric won't twist or pill and the vibrant colour lasts, wash after wash. The short-sleeve crew-neck design has a soft neckband with narrow cover stitching for a refined and comfortable finish and as always, our branding is kept subtle — with a minimalist label tacked at the hem and a printed logo to avoid irritating neck labels. True to our philosophy of 'Smart Comfort', we have focused on uniting beautiful, inspirational designs with our market leading technical approach for our resortwear range. Wear to the beach, after a dip in the pool, whilst lounging or as a cool, evening alternative, the Riley tee is incredibly versatile.